Receptors that signal the brain when the stomach is full can become desensitized by obesity, and that doesn't seem to improve with weight loss. Problem: When people lose weight, they often have trouble keeping it off. Studies have shown that obese people who drop pounds due to a diet will often bounce back to at least their original weight within two years. This yo-yo-ing might be caused in part by changes in gastrointestinal hormones that regulate appetite—after being obese for a while, your stomach becomes less sensitive to being stretched, and the “I’m full” signal can get lost. Methodology: Scientists at the Nerve-Gut Research Laboratory at the University of Adelaide in Australia tested this idea in mice. Some mice ate a normal laboratory diet and went about their normal laboratory lives, some had a high-fat diet, and some ate a high-fat diet for half of the 24-week period and then went back to a standard diet for the rest of the time. They then killed the mice in such a way that the stomach and esophagus remained intact, and tested the responsiveness of nerves that signal fullness to the brain. Results: The mice who stayed on the high fat diet the whole time gained more weight than both the standard diet mice and the half-fat, half-standard diet mice. 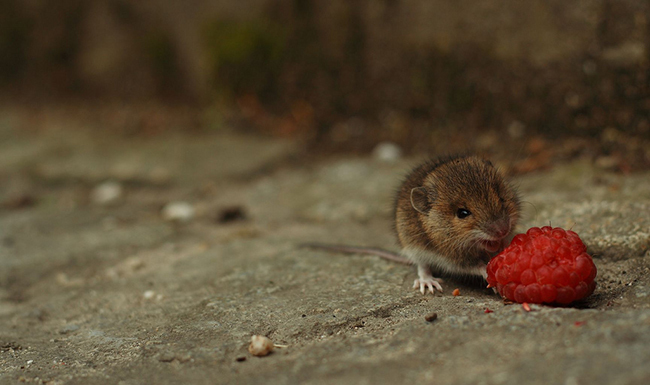 The half-n-half mice lost some weight at first when they went back to a healthy diet but at the end of the 24 weeks, they had gained back all they lost, and were consuming as many calories (of the healthy chow) as the mice on the high-fat diet. What’s more, the desensitization of their gut receptors didn’t go away when they switched back to a normal diet. It would seem that once the damage of obesity is done, it’s done. Implications: The data suggests that “changes in gastric mechanosensitivity… serve to protect an increased body weight,” according to the study. “The persistence of obese phenotype neuronal responses may, at least in part, explain the high failure rate of diet regimes in humans.” This is disheartening, to say the least, but it does explain the difficulty of sticking to a diet—if you don’t feel full, why would you stop eating? The study, "Altered gastric vagal mechanosensitivity in diet-induced obesity persists on return to normal chow and is accompanied by increased food intake", appeared in the International Journal of Obesity.